Apologetics Press - Do Science and Scripture Harmonize? Yes (Obviously). It has been said that the Bible and science disagree—they cannot both be true. Those Bible believers who accept such assertions comfort themselves by acknowledging that the Bible is not a “science textbook” and, therefore, would not be expected to speak with accuracy concerning scientific matters. In truth, regardless of whether or not the Bible is a science textbook, geography textbook, history textbook, or any other type of book, if the Bible is inspired by the omniscient Creator of the Universe, it should be accurate in anything it says. When it touches on scientific matters, it should be perfect in its descriptions—and it is. “[t]est all things; hold fast what is good,” He was essentially summarizing the scientific method. By encouraging humans to study “the works of the Lord” (e.g., Creation and the Flood), He was endorsing science (Psalm 111:2). When God wanted Adam to name the animals, He instituted the field of biology (Genesis 2:19). When He highlighted to Job the natural laws that govern the Universe, He was encouraging the study of physics (Job 38:33). Job 12:8-10 emphasizes geology, while Psalm 19:1 and Genesis 15:5 encourage astronomy. Numbers 19 even delineates a basic recipe for antibacterial soap—chemistry in action. Solomon, in his inspired wisdom, endorsed the study of biological science, encouraging the study of eagles and serpents (Proverbs 30:18-19), as well as ants, badgers, locusts, and spiders (Proverbs 30:25-28). Jesus encouraged botany when drawing His audience’s attention to the lilies of the field (Matthew 6:28), seeds (Matthew 13:1-9,24-30), trees and vines (Matthew 7:16-20), and grass (Matthew 6:30); ornithology by pointing to the birds of the air as an illustration (Matthew 6:26); entomology when mentioning moths (Matthew 6:19-20); and zoology when discussing sheep, dogs, and swine (Luke 15:3-7; Matthew 7:6). In God’s sermon to Job in chapters 38-41, He chose to humble Job and instruct him by giving him a science lesson covering geology, cosmology, astronomy, physics, oceanography, nomology, optics, meteorology, and biology, including zoology, ornithology, entomology, herpetology, botany, and marine biology. Bottom line: God founded, endorsed, and even commanded science. Science is not anti-Scripture. So, why the confusion? Some confusion comes from the nature of observational science: we cannot taste, touch, smell, hear, or see God, Creation, or the Flood. So the conclusion some draw is that biblical Creation is unscientific. While it is true that several aspects of the biblical model cannot be empirically verified since we cannot observe them today, the same can be said of several crucial steps in any naturalistic theory (e.g., the “Big Bang,” origin of life, origin of species, etc.). Such is the nature of “historical science”: deductive reasoning from indirect evidence must be used to substantiate a theory that concerns unobservable historical events, in the same way forensic scientists use science to investigate events that they did not personally witness. The biblical model, similar to any historical model, must be substantiated by indirect evidence, rather than direct. 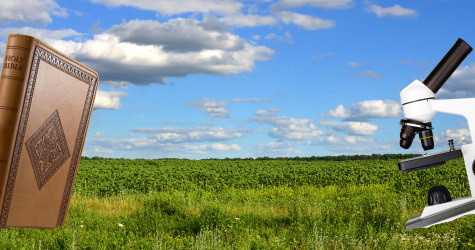 As we have shown elsewhere (see www.apologeticspress.org), the naturalistic model contradicts the evidence and the biblical model is supported by the evidence. Further confusion comes from a comparison of Scripture with mainstream naturalistic science. It is true that several popular naturalistic theories have been advanced in modern times which contradict the Bible, but it is also true that, upon closer inspection, those models are found to contradict true science in fundamental ways. For example, one cannot be a naturalist and still believe in phenomena that do not happen in nature (e.g., cause-less effects1; the spontaneous generation of the laws of science2; matter/energy3; life4; genetic information5; design6; etc.). A theory cannot contradict itself and still be true. True science will not have internal contradictions like those of naturalistic theories. The biblical model is scientific because it can explain the origin of the laws of science. It is scientific because it can explain the Universe and its characteristics without contradiction. The biblical model is scientific since it accurately stated several of the laws of science before they were even discovered (e.g., the Law of Causality; First and Second Laws of Thermodynamics; Law of Biogenesis).8 The biblical model is scientific since it has made many verified scientific predictions.9 Bottom line: God founded science. When legitimate scientific findings are interpreted properly and fairly, science supports the Bible and Christianity. It certainly is not at odds with Scripture—since they share the same Author! 1 Jeff Miller (2011), “God and the Laws of Science: The Law of Causality,” Apologetics Press, http://apologeticspress.org/article/3716. 2 Jeff Miller (2012), “The Laws of Science –by God,” Reason & Revelation, 32:137-140. 3 Jeff Miller (2013), “Evolution and the Laws of Science: The Laws of Thermodynamics,” Apologetics Press, http://apologeticspress.org/APContent.aspx?category=9&article=2786&topic=93. 4 Jeff Miller (2012), “The Law of Biogenesis [Part I],” Reason & Revelation, 32:2-11. 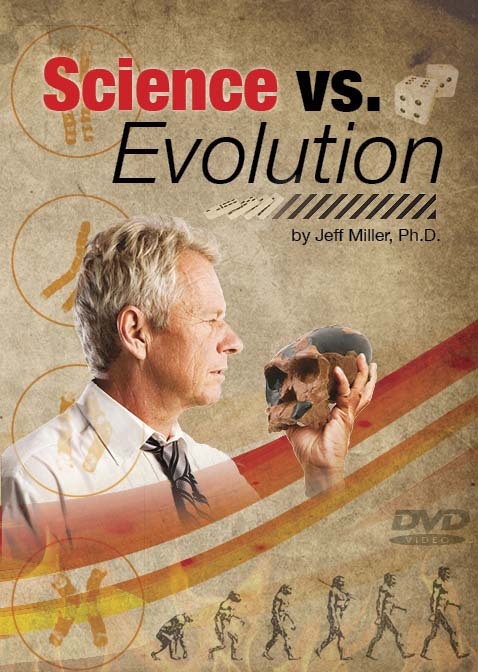 5 Jeff Miller (2014), “God and the Laws of Science: Genetics vs. Evolution [Part 1],” Reason & Revelation, 34:2-11. 6 Jeff Miller (2017), “Atheists’ Design Admissions,” Reason & Revelation, 37:134-143. 8 Jeff Miller (2017), Science vs. Evolution (Montgomery, AL: Apologetics Press). 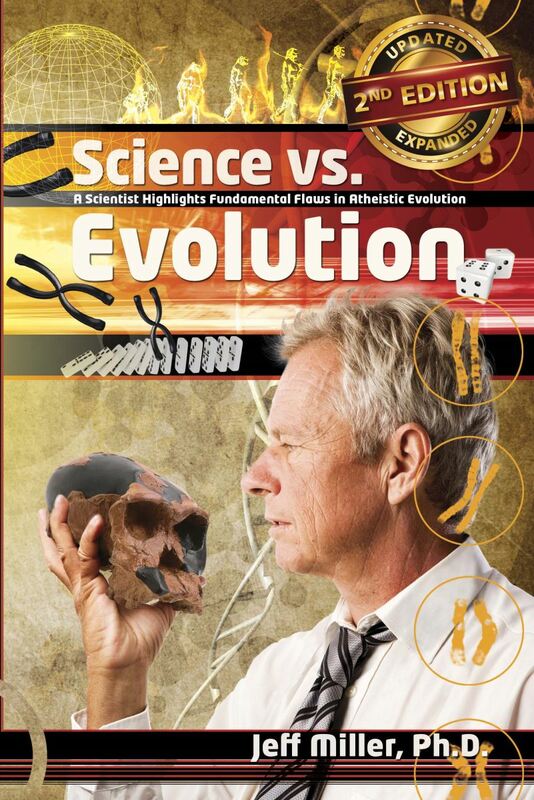 9 Jeff Miller (2014), “Bill Nye/Ken Ham Debate Review: Tying Up Really Loose Ends,” Reason & Revelation, 34.